Originally the town was named Altessano Superiore. The current name comes from the Latin word "venar (hunting), referring to the fact that the lands were bought by the Savoia and used as a hunting reserve. It is located near Turin, where the river Stura di Lanzo meets the stream Ceronda inside the Regional Park La Mandria, which extends over approx. 3000 hectares, on a large plain covered with woods, that provide shelters for different animals and is seat of the royal apartments of Borgo Castello. The town is home of the XVII century Savoy Palace, Family with whom the town shared fate and historical events. After a long period of industrial activities, the town is now mainly devoted to tourism. It became domain of the Savoy since 1580 as a hunting ground and Summer residence. 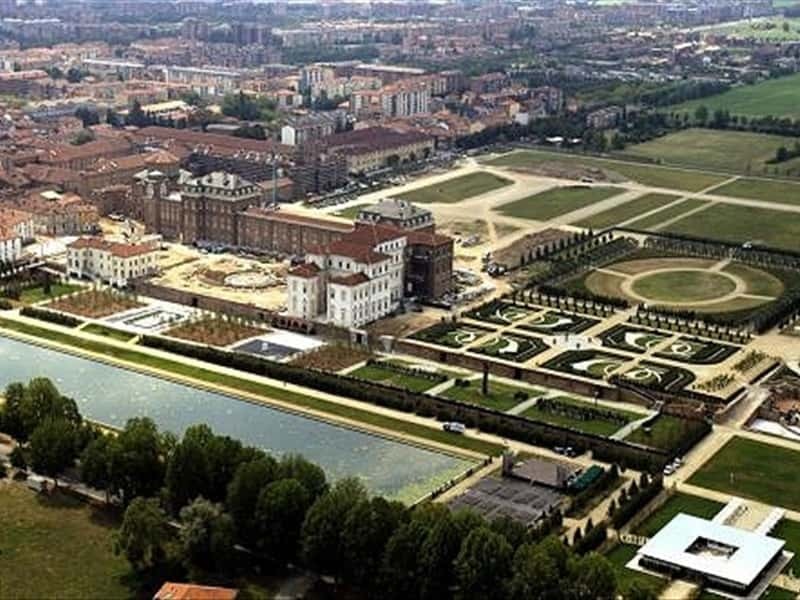 In the mid-XVII century, the Duke Charles Emmanuel II of Savoy had a new hunting lodge built and gave the court complex project to the architect Amedeo Castellamonte, who created a magnificent architectural ensemble, which perfectly integrated into the surrounding environment. At the centre of the Park lies the Palace of Diana, built in 1660 and refurbished several times until it was sacked by French troops in the late XVII century. Rebuilt during the reign of Vittorio Amedeo II, on designs of the architect Garove, the complex was renovated and expanded; the works were continued by Filippo Juvarra and other architects. With the French occupation, the building, during the Restoration was used as military barracks and this was its final use throughout the XIX century. At that time the whole town had a military connotation. - the Baroque Palace, a valuable testimony of the splendor of the XVII and XVIII centuries, enriched by magnificent gardens. - the Church of St. Uberto, dedicated to the patron saint of the hunters, built and designed by Philip Juvarra. - the parish of St. Mary of the Nativity, built in 1664, it was renovated by architect Benedetto Alfieri in the XVIII century. - the royal apartments of Borgo Castello, built in the early XVIII century in the Park La Mandria, artwork of the artists Garove, Juvarra and Alfieri, It became the favorite residence of Vittorio Emanuele II. - Bizzarria is an unusual shaped building, located inside the Park La Mandria and built in the XIX century. - the Villa of the Lakes, built in Gothic style in the XIX century and enriched by three artificial lakes. - the Rubbianetta, a horse breeding stable and farm house with a curious shape, similar to a large horseshoe, built by Vittorio Emmanuel II. - the beautiful historic center designed by Amedeo di Castellamonte in the XVII century, which features the square of the Annunciation in Baroque style. The arcades are home to various workshops, which constituted the economic and cultural life center of the town. This town web page has been visited 30,879 times.